While West Texas A&M University and its generational plan, WT 125: From the Panhandle to the World, are the basis for these reflections, the thoughts have value in many settings. Healthy organizations thrive on integrity and transparency. Since the White House announced its plan to address student debt on March 11, 2019, commentaries, both pro and con, are endless. However, personal responsibility is rarely, if ever, mentioned. The creators of student debt—students, lenders, officials (elected and appointed) and universities—are co-contributors to the crisis. Blame is omnipresent, but that does not liberate the student’s personal responsibility for assuming debt or the university’s complicity in allowing it. Transparency trumps everything. Absolution of personal responsibility in college borrowing undermines the value of higher education. Social and political pressure convinces students and families that accumulated educational debt is a sound investment. For some, at some places, in some majors, that theory holds. For others it is full of holes. Over-indebtedness lands squarely on the shoulders of students. Universities, elected leaders and lenders are held harmless and run from the reality of this inconvenient truth. Students borrow too much because over-borrowing is allowed and accepted as necessary. Institutional honesty is needed. It is a moral problem, not a legislative or fiscal problem. If university leadership knows of lower cost alternatives for students who must borrow for attendance and fails to recommend consideration of those options, there is a moral lapse. 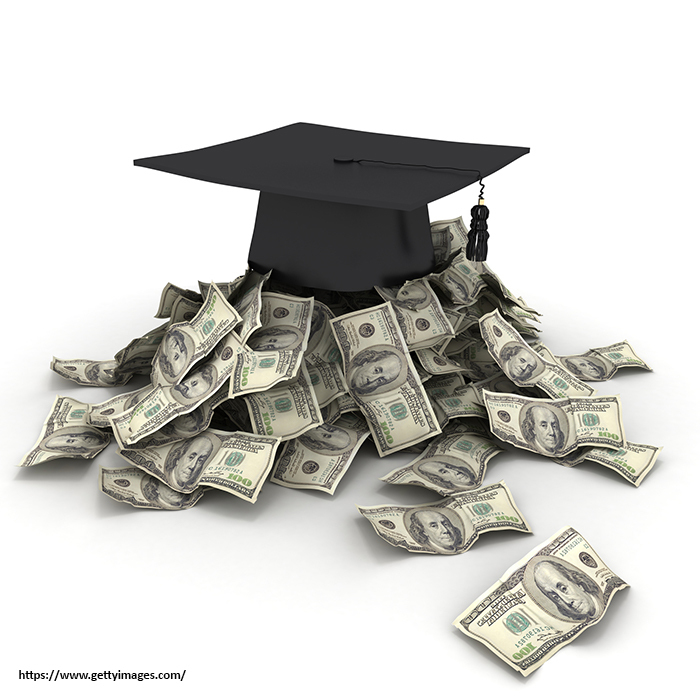 In addition, when a university encourages students to borrow and engage in “valuable” experiences that do not apply to a degree program, carelessness with borrowed resources may be at work. The White House proposal suggests capping student debt—an interesting idea, but it shifts responsibility from the institution and the student and lands it in the public square. Students and universities should cap debt locally on an individual basis. Lenders give subsidized loans to students who have shown little propensity to perform academic work. Further, absent geographic proximity the detachment between the lender and the student is exacerbated. Lending localized to the area of the university or the student’s home would reinforce the idea that somebody is actually borrowing money from someone. Student, university and lender would sense and share responsibility. Student borrowing would be focused. Frivolous borrowing and lending made profitable through federal insurance and guarantees produces little long-term benefit for too many borrowers. In all likelihood, any version of the White House proposal will provide protections for students and lenders. Risk will be reduced for both, but the cost of reduced risk will be returned to the public square. Personal and institutional responsibility is imagined. At some point, universities should have the temerity to say to the student, “You are borrowing too much money and making too little academic progress towards completion of your degree. Go to work for a season and pay down some of your debt before returning to school. It is our best counsel.” Honesty and transparency is a morally defensible position, not an illusion. The fear of such proposals is that there will be disproportionate impact on people of color who may benefit most from a college education. Studies bear this out for African-American, Hispanic and female graduates. These are legitimate concerns and, unattended to, problematic. However, on the other side of that coin, first-in-family to attend college, people of color and other classifications of students suffer equal troubling impacts from the failure to repay loans. Studies show discouragement follows crushing debt loads. Wise counsel and an honest cost/benefit analysis of study and debt burdens need disclosure to students and families. Patent dishonesty rather than honest transparency undermine personal responsibility as well as institutional accountability and integrity. Community colleges are a lower-cost alternative but suffer from “university envy,” and indebtedness of two-year graduates increases. I tell every potential student, “Do not attend West Texas A&M University if you have to borrow during your first two years. Go to community college and talk to us every step along the way.” However, if community colleges are committed to emulating universities, cost differences diminish. The White House proposes limited borrowing, simplified repayment, no loan forgiveness for public service, repayment maximums indexed to income and a number of other seemingly positive features. But there’s not a single mention of increased personal or institutional responsibility anywhere—Band-Aids where moral surgery is required. Organizations that lack moral authority or diminish personal responsibility are unhealthy. For a complete version of WT 125: From the Panhandle to the World, please visit wtamu.edu and click on WT 125. Walter V. Wendler is President of West Texas A&M University. His reflections are available at http://walterwendler.com/.